Is it snowing in Nevados de Chillan ?Thank you! 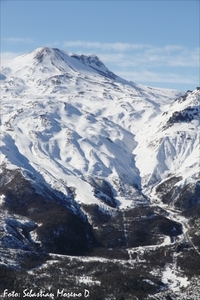 Nevados de Chillán (Nevados de Chillan) is situated 1,530 meters above sea level with 33 runs and 30 km of groomed and maintained skiable area of 10,000 hectares of skiable domain. 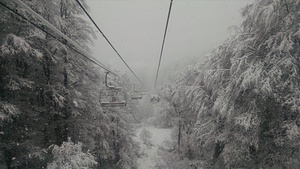 With 9 lifts (five chair and four surface lifts), its longest run is 6,5 kms. There is a vertical drop of 870 meters. 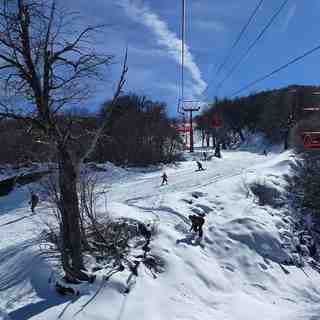 Nevados de Chillán (Nevados de Chillan) is a resort that offers some alternative activities, for example, randonee, cat skiing, snowmobiles and canopy. The thermal centre has nine hot spring water pools which are open all year round. It is possible to ski in and ski out to these pools. With many beautiful natural attractions, summer at Nevados de Chillan offers visitors a recreational and relaxing retreat with horseback riding, trekking, mountaineering and a bike park. Located in Bio-Bio region, it's 194km to the east of Concepción city, and 82 km to the west of Chillan city. 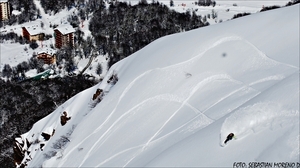 The ski season is between 15th of June and the 15th of October, but worth visiting any time of the year with nearby attractions including Chillán city, Chillán Volcano, Nevados de Chillán glacier. From Santiago, Chillán city is located 407 km down south, by car take the "Ruta 5" South. Leave Chillán towards the east on a road which borders the river, last 7 km are unpaved. 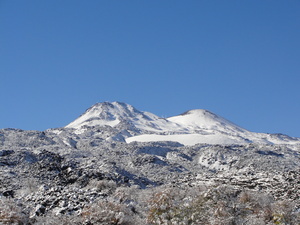 Nevados de Chillán (Nevados de Chillan) has a four star hotel. Days 07 to 08 of September, FIS Ski Cross contest. 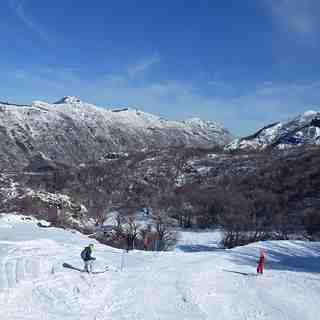 Week 23 to 27 of September, National Alpine Ski Championship. Week 01 to 04 of October, FIS Alpine Ski SG and DH.